After our participation in the edition of 2012, we have just started making arrangements for our participation in the next edition of 2013. We have started delivering machinery to our customers in the south of Brazil during 2008, becoming our first export destination. After taking part in Mercolátea Milk Fair 2009 in Chapecó (Santa Catarina) we participated in Expomaq 2012 in the city of Juiz de Fora (Minas Gerais) to maintain the contact with our customers. 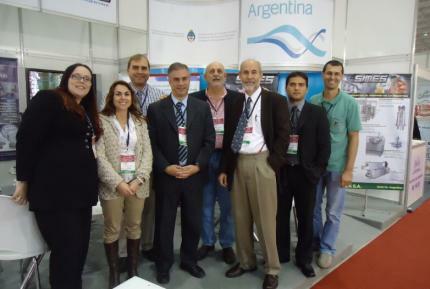 In Expomaq 2013, we are going to participate in combination with the Argentine Consulate of Belo Horizonte and we are planning to visit companies to provide direct customized advice on technological matters in their plants.